Add a unique and personal touch to your party with homemade bridal shower favors that will impress guests with your thoughtfulness. avors can be expensive, but by making your own , you can incorporate a theme or give something that expresses the personality of the bride-to-be without breaking your budget or compromising beauty and style. 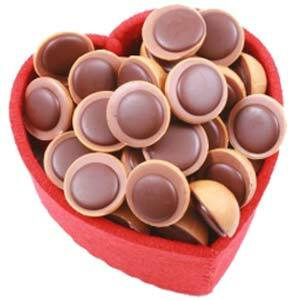 Heart-shaped, chocolate-dipped cookies are always an irresistible choice that every guest will love. And, you can make your favor extra special by baking the bride-to-be's personal favorite (remember to keep in mind any serious nut allergies). Homemade chocolates are also a great option, and you can choose from a variety of themed molds such as hearts, bells, or wedding cakes. If you don't mind spending a little extra time, you can create beautiful, mouth-watering truffles that will look as decadent as they taste. Or, for a quick and easy option, make your own covered pretzels. By using a variety of chocolates and yogurts, you can create a colorful sweet treat that will also be a great addition to your party menu. Purchase a clear glass jar, create a personalized label for the front or lid, fill with your homemade treats and wrap with a ribbon or strand of raffia. You can also use a colored box, topped with a bow, silk flower, or other theme appropriate accents. These boxes are also great for cupcakes, scented candles, or homemade potpourri. If you like the artistic touch, but don't really want to make your own treats, you can simply personalize the container and fill with your choice of candy, such as cinnamon hearts for a Valentine's wedding, jelly beans for an Easter shower, or mini candy canes for a Christmas date. Simple yet popular homemade bridal shower favors are the personalized candy wrappers. Choose the bride-to-be's favorite chocolate bar, create your own label and wrap with a ribbon and paper doily. This idea also works great for rolls of mints or other similar shaped packaging such as Lifesavers or Rolo. If you enjoy making jams or jellies, your shower guest will always appreciate a personalized jar of homemade preserves, or even a decorated container of honey or dessert toppings. Combine the traditional gift of candles with your own unique flair to create a shower favor that is both theme related and personal. Add petals from the bride-to-be's favorite flower, dyes that match the wedding color scheme, special fragrances, or other beautiful accents such as dried fruit, cinnamon sticks, or seashells. If you do not want to start from scratch, you can purchase pillar candles and adorn them with such things as a picture of the wedding couple, a silk flower wreath, or ribbons that complement the bride's color choices. 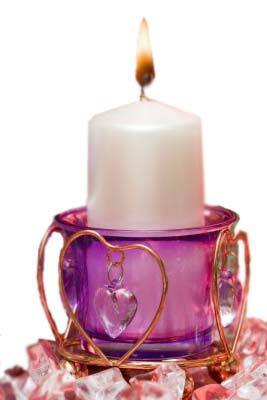 Another great option is to decorate votive or tea lite holders using stencils, art paint, beads, jewels or lace. These make a great personalized gift that are simple to design and will be treasured for years to come.